At 2:45AM EST on February 3rd, I, like other Amazon.com Associates affiliates, received an email informing me of “Changes to the Amazon Associates Operating Agreement.” I hardly ever pay attention to these emails, since I’m not fluent in legalese. And in this case, the Amazon Associates Team has saved me the trouble by summarizing the one update worth highlighting, which was something about the user session for MyHabit.com being extended that didn’t matter to me. On a whim, I decided to click through to read the rest of the changes and discovered that Amazon had somewhat buried the lead. Amazon has changed its policy on URL shortening services (e.g. Bit.ly, is.gd, TinyURL, goog.gl). Here’s the juicy bit. In the February 2, 2012, version, the following sentence was added to the second paragraph. For the uninitiated, an Amazon affiliate link has a referral code built-in to it that allows publishers to take a cut of Amazon’s profits for whatever the clicker buys. To the trained eye, an affiliate link is easy to spot. For example, here’s a normal link to 6 pounds of pistachios on Amazon.com. URL shorteners allow you to obfuscate your use of referral links, to a certain degree. For example, can you tell that this link is an affiliate link? There are good and bad reasons to use link shortening services for affiliate links. Some folks use URL shorteners for metrics purposes, or for making those long ugly links more palatable for Twitter. But others use them to hide their ulterior motives for linking a certain product or service. That latter behavior is what Amazon is likely trying to clamp down on. So, what constitutes “a manner that makes it unclear that you are linking to an Amazon Site?” That’s what I asked Amazon, and I hope they get back to me soon. Amazon does have its own link shortening service, amzn.to (e.g http://amzn.to/wr02fh), which you can use by entering an Amazon link at http://bit.ly. That, it seems, shouldn’t violate the Operating Agreement. Especially since Amazon recommends using it in their social networking FAQ (though it’s unclear whether this has been updated since February 2). But now’s probably a good time to bring up another slight change to the Operating Agreement. Amazon now forces associates to agree to settle disputes in binding arbitration. Previously, you could sue Amazon in a state or federal court in King County, Washington. But Amazon, like so many other big corporations (credit card companies, notoriously), is asking you to waive your right to bring a civil lawsuit against them regarding your agreement with them. Check out FairArbitrationNow.org to understand why so-called “forced arbitration” is a raw deal. I’ll update this post once I find out more information. But for now, I would recommend evaluating your use of URL shorteners if you are using them to link to Amazon. 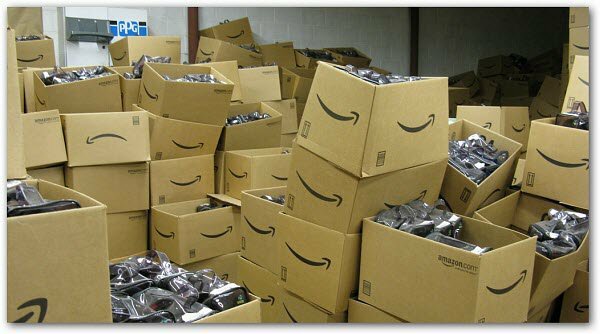 You could find your Amazon Associates account in jeopardy and your hands tied with regard to suing for any lost profits. Contact Amazon.com directly to confirm that your practices conform to their rather vague Operating Agreement. And, if possible, use their shortening service instead of something else that may make it unclear that you are linking to Amazon. I would be curious why Amazon is moving to a ban on Short-URL’s. Is it branding or an attempt to keep ppl from misrepresenting Amazon and sending users to malware sites? Interesting. The dark side of URL shorteners is they mask the true endpoint. It sounds like Amazon wants to maintain a level of clarity for the clickers. The upside is that the affiliate can use the analytics of a shortener (e.g. bit.ly) to track their clicks. A smart affiliate would probably add URL tagging parms and keep a log of URLs, where they were placed, when, etc. Perhaps that empowerment is also a concern of Amazon? They are known for throwing their weight around, yes? One would hope that as long as you use bit.ly and it returns a link using amzn.to that everything would be OK. Otherwise, (and pardon me for getting technical) you could have shortened links go to your own site (e.g. mysite.com/amazon?tagging-parms-go-here) and then redirect that request in the .htaccess to the full length URL on Amazon. That would give you shortener analytics but look like a full length request to Amazon. *I think* this will work. There may be something passed that tells Amazon the visit is via a redirect. None the less it should at that point show as coming from your site and not for example, bit.ly. Or perhaps this strategy violates the Amazon agreement in some other way? p.s. You might also be able to use a grow-your-own URL shortener using something like http://YOURLS.org. But again, don’t hold me to this. I’d have to do some thorough research on what a redirect passes when it redirects. work I constantly get satisfaction from the posts. Have you ever at any time had a truly unforgettable glass of wine? experience, the organization or the wine by itself? It’s a shame you don’t have a donate button! I’d definitely donate to this outstanding blog! I guess for now i’ll settle for book-marking and adding your RSS feed to my Google account. I look forward to new updates and will share this website with my Facebook group. Chat soon!